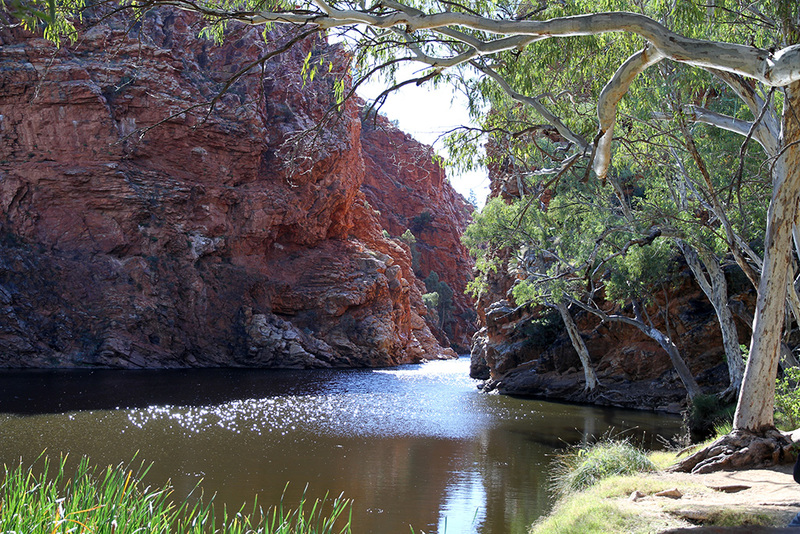 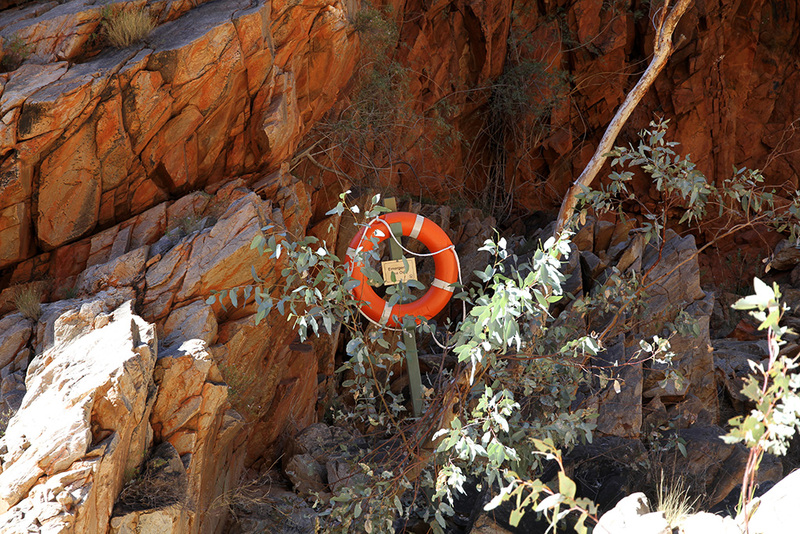 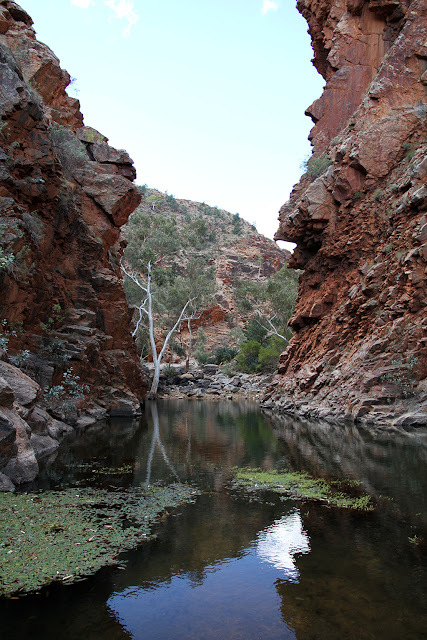 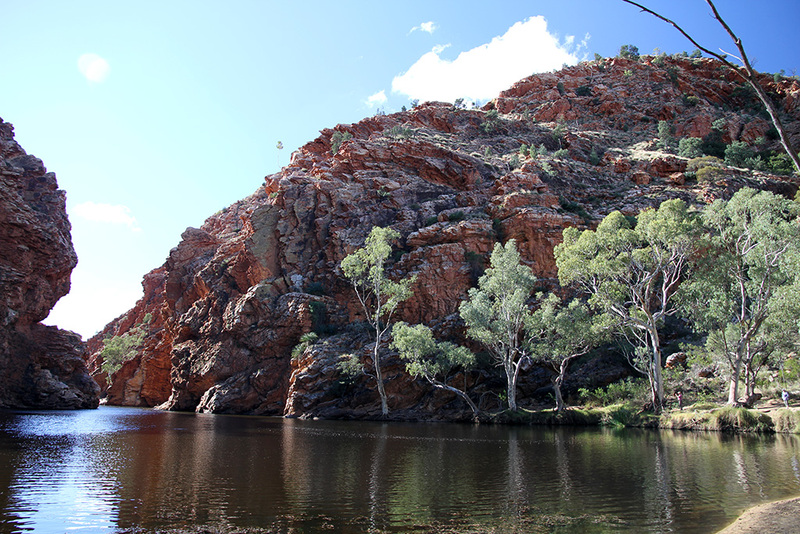 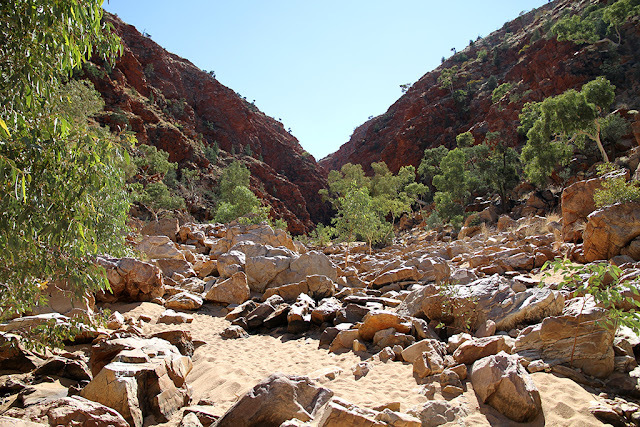 We were basing ourselves at Glen Helen so that we could visit most of the Gorges in the West MacDonnell Ranges. The West MacDonnell Ranges were a pretty impressive geological formation. 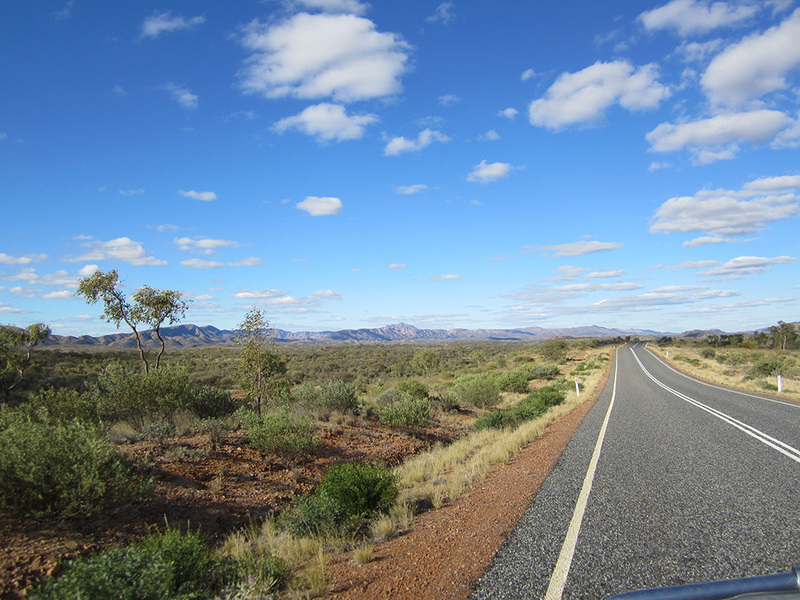 This morning was the coldest so far, 0.5deg, so it was a bit of a slow start. First gorge we visited was Redbank gorge. 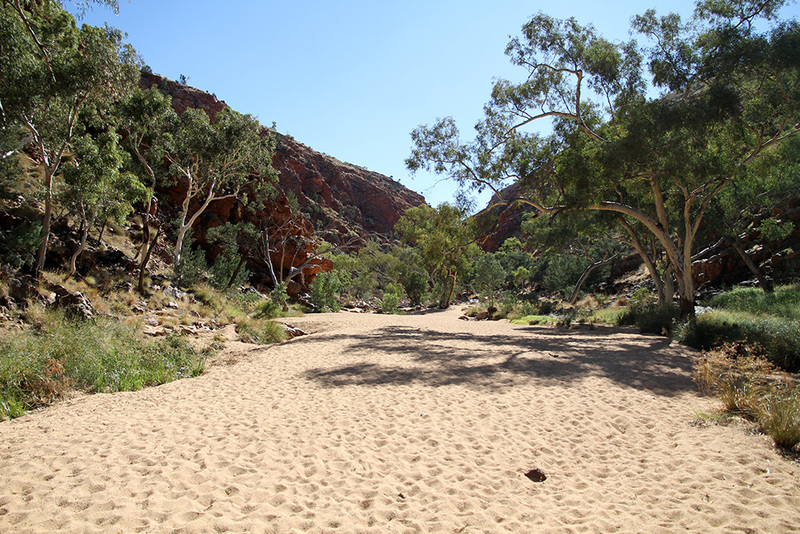 It was a 2.6km return walk up a dry river bed. 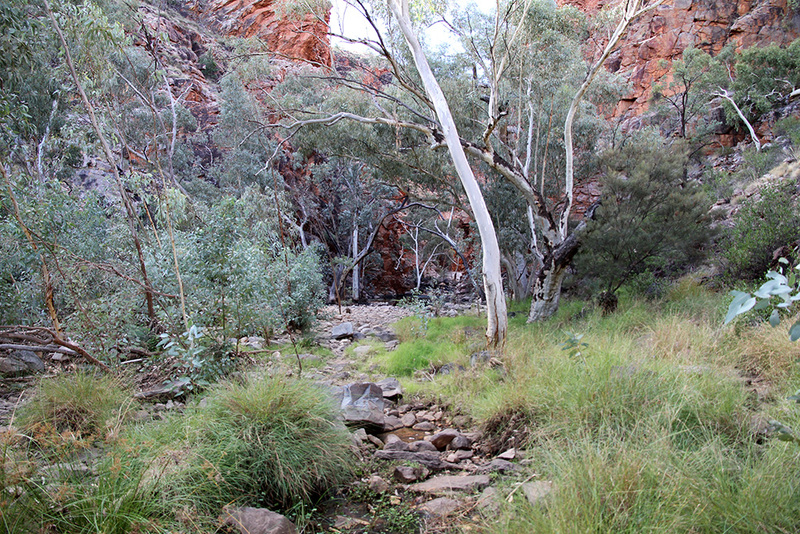 There was a little bit of water at the end so this stopped us from walking fully into the gorge. Next stop was the Elery Creek Big Hole. 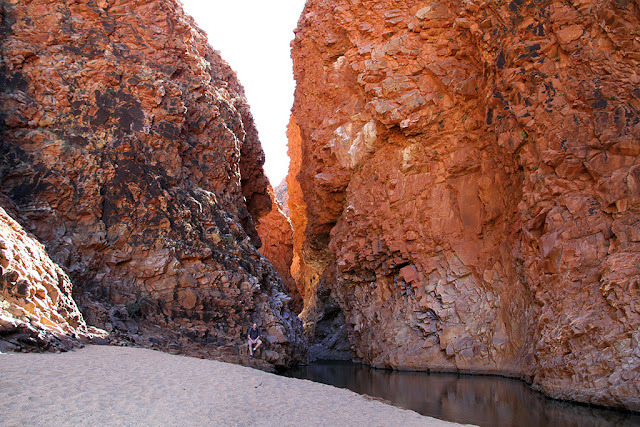 We only had to walk a couple of hundred meters for this one. 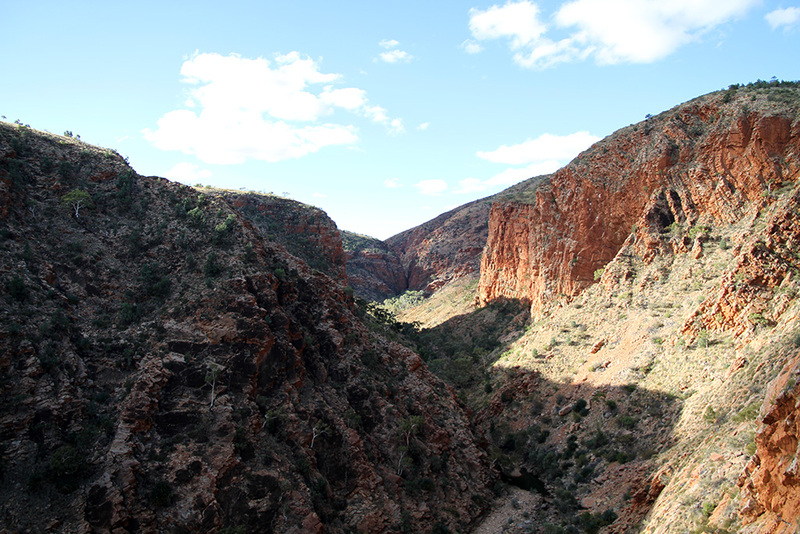 The final gorge for the day was Serpentine gorge and look out. 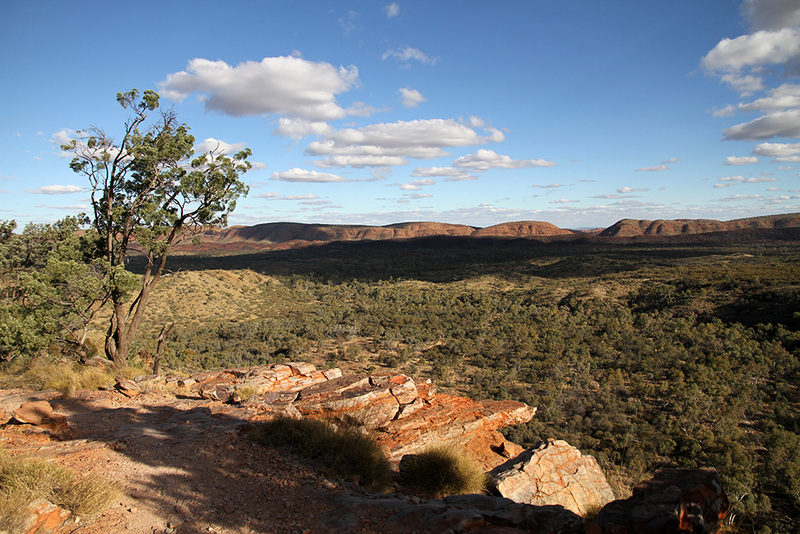 It was a 1.4km return walk and the walk to the top of the lookout was pretty steep but it had great views. 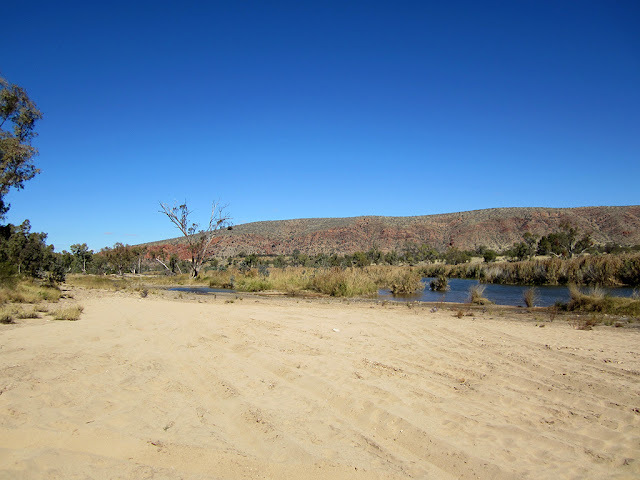 When talking to a family at Gosse Bluff the day before, they mentioned that they were camping at 2 Mile camp ground just opposite the Glen Helen Resort. So we decided to check it out. 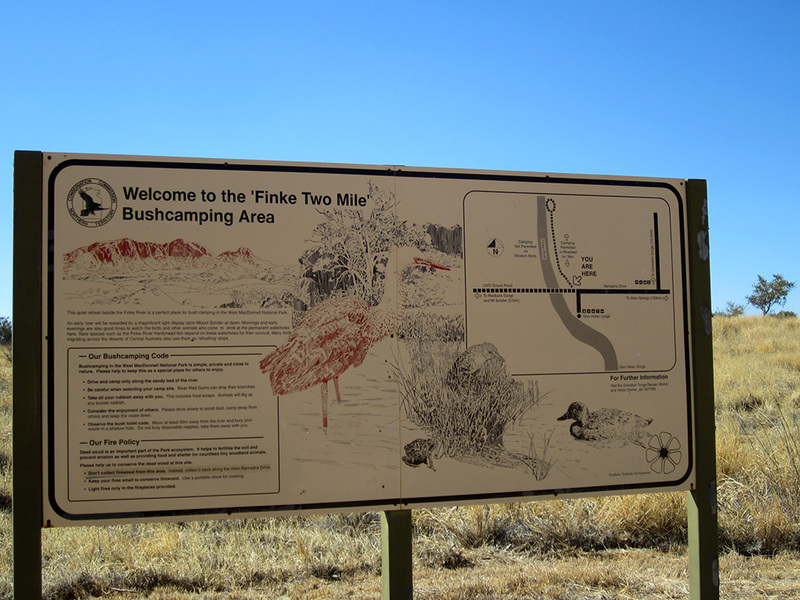 The entrance was just down the road from the Glen Helen Resort entrance and right on the Finke river bank. 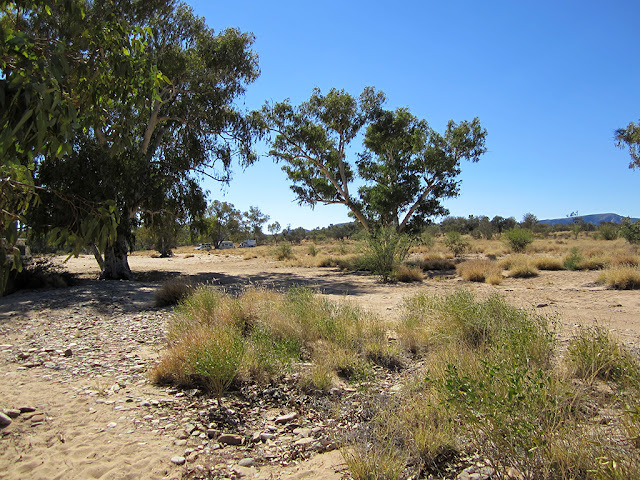 It was a 4WD bush camp with no facilities. 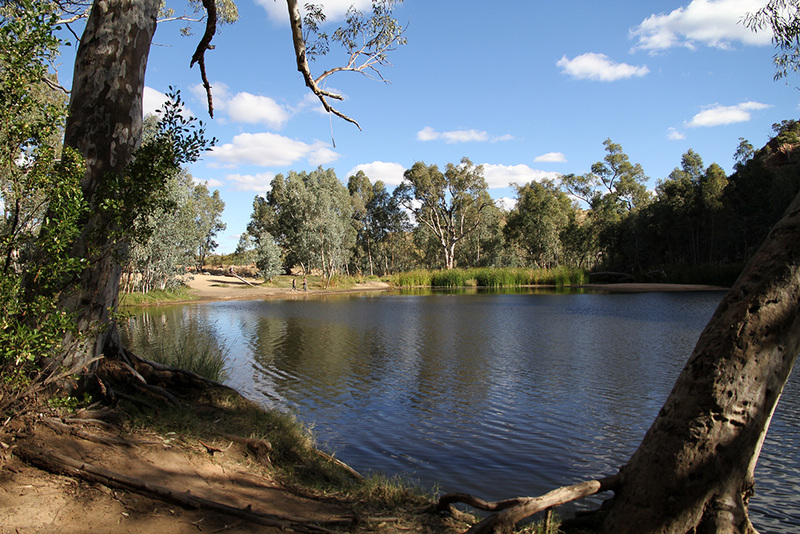 It was a perfect location. It is one we will keep in mind if we are ever back in this region. 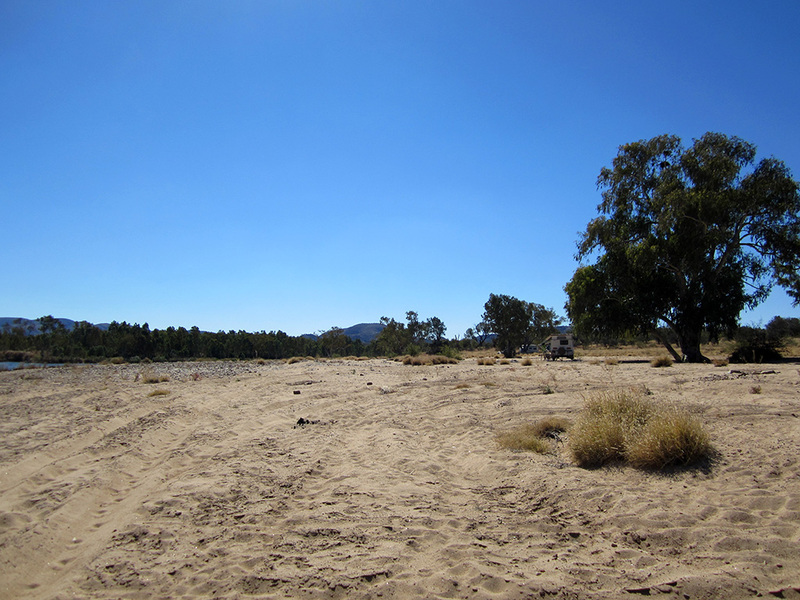 There was space to camp just out of the sand or in the sand and closer to the water if you wanted.